Late in 2010 William did his first practice run up to Tatajia in the shadow of Mt. 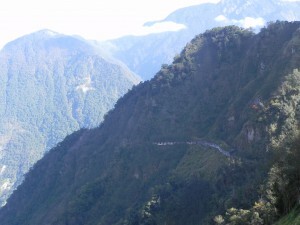 Jade, Taiwan’s highest mountain in preparation for the annual event. 2011 was a good year in which he finished as Taiwan’s top young racer. The 2012 Tatajia event was held on Sunday. This year Taiwan’s top domestic racer for 2011 Zhu Fan-Xin was contending for the elite section of the event along with a former Tour of Taiwan racer, Fraser Young. Fraser took out the event with Fan-Xin 2nd. 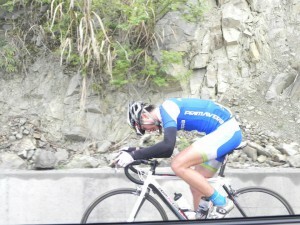 William stayed with the leading group most of the way up the 36 km climb until just after the landslide section. 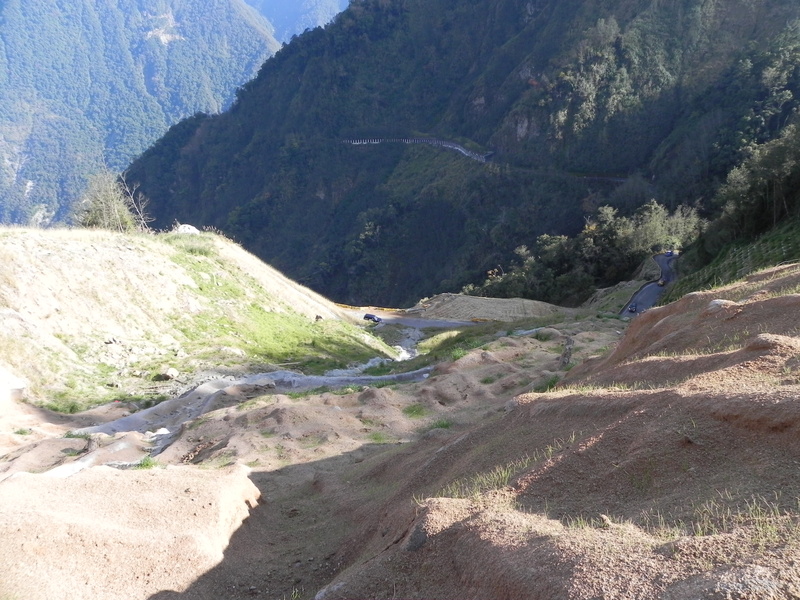 The road has been stabilized but involves two ramps that find a way over the debris left from the landslip a few seasons ago. 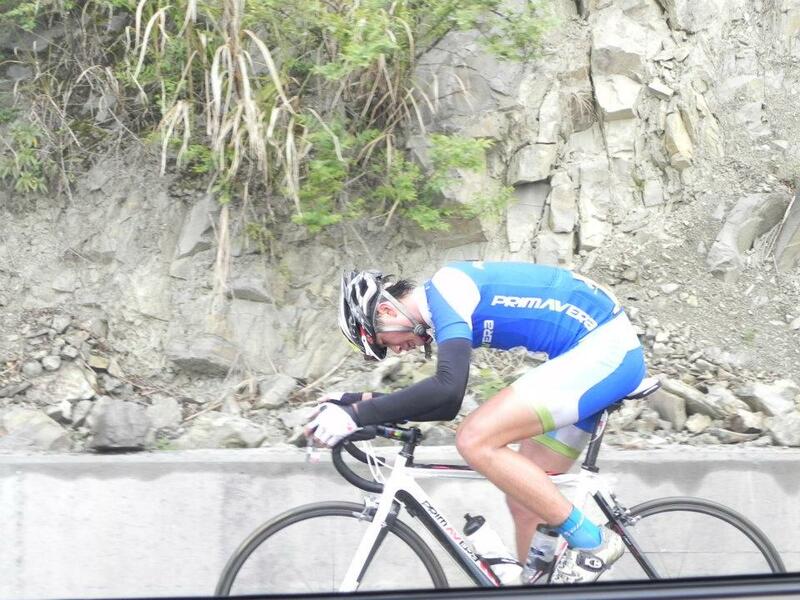 He hung on for the final 12km to the top and placed 10th. His aim was a top 5 place. The few people who saw his dedication to this climb—myself, his Mom and Dad who follow on the road in support and a few bystanders—have no doubt that he’ll be back next year to achieve that and more.